Julia Margret Cameron was a popular British photographer. She was known for the beautiful portraits of celebrities and for other photographs with the Arthurian and other legendary themes. Cameron (born Julia Margret Pattle) was born on June 11, 1815, in Calcutta, India. She was born into a family of beautiful women and was considered ugly among her sisters. Julia studied in France but later returned to India in 1838 where she got married to Charles Hay Cameron. Charles was a jurist and 20 years her senior. Later Julia moved to London after her husband retired. At age 48 in 1863, Julia got a camera from her beloved daughter as a present. This was the starting point of her career in photography. 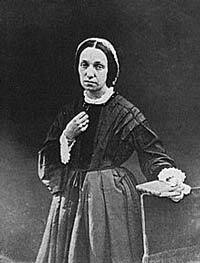 Within a period of one year, Julia had joined Photographic Societies of London and Scotland. In her work as a known photographer, Julia strove to capture the real beauty of a person. Cameroon registered each of the photographs that she took with a copyright office and even kept detailed records. Her shrewd business sense was one of the reasons her works still survive today. Another reason that makes her portraits significant is that in most cases, they are the only existing photos of great historical figures. Cameron’s photographs can simply fit into two major categories: the closely framed portraits plus depictions of allegories based on various religious and literary works. Cameron had a sister who ran an artistic scene house at the Little Holland House. This gave Julia many famous people for her portraits. Examples of famous subjects that she created a portrait of include Robert Browning, Charles Darwin, William Michel Rossetti, John Everett Millais, George Fredric Watts and Ellen Terry. Most of her portraits were cropped closely just around the subjects face and they were typically in soft focus. In her photos, she tried to capture the personalities of the subjects with a single picture. Julia Margret Cameron also posed photographic illustrations as the other side of her career. In her illustrations, she constantly photographed some historical scenes or even literary works. These often took on the real quality of the oil paintings. She however made no attempt to hide the backgrounds. She had a great friendship with Alfred Lord Tennyson, which led him to ask her to photograph some illustrations for his Idylls of the King. These photos were designed to look just like oil paintings from a similar time period as they included rich details, such as intricate draperies and historical costumes. Cameron saw her photographs as an art, just like the oil paintings they imitated. In 1875, Julia and her family moved to Ceylon (Sri Lanka). She continued to do photography, although she complained about the challenges she experienced trying to get chemicals and pure water to print her photographs. In India, she never had access to the Little Holland House. She also lacked a market to sell her photos unlike in England where she had plenty of clients. This meant Cameron had to take fewer photos while in India. In 1879, Julia caught a very bad chill and later died in Kalutara in Ceylon. She died at age 63.